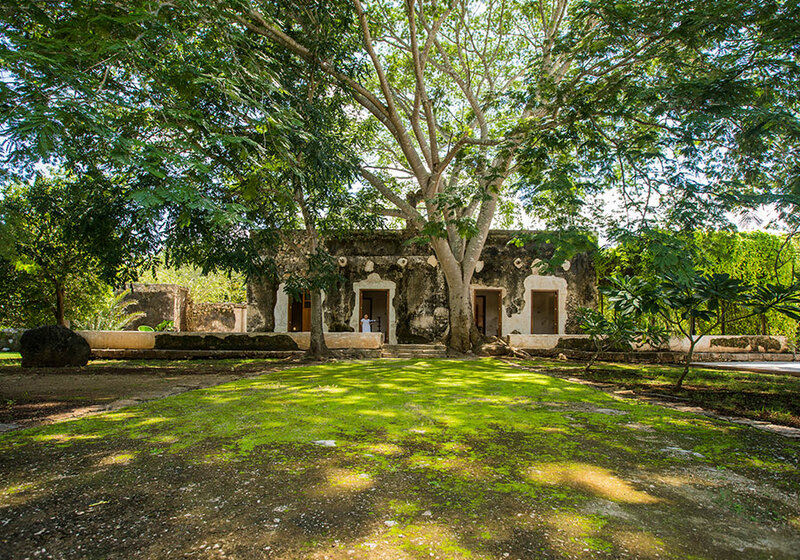 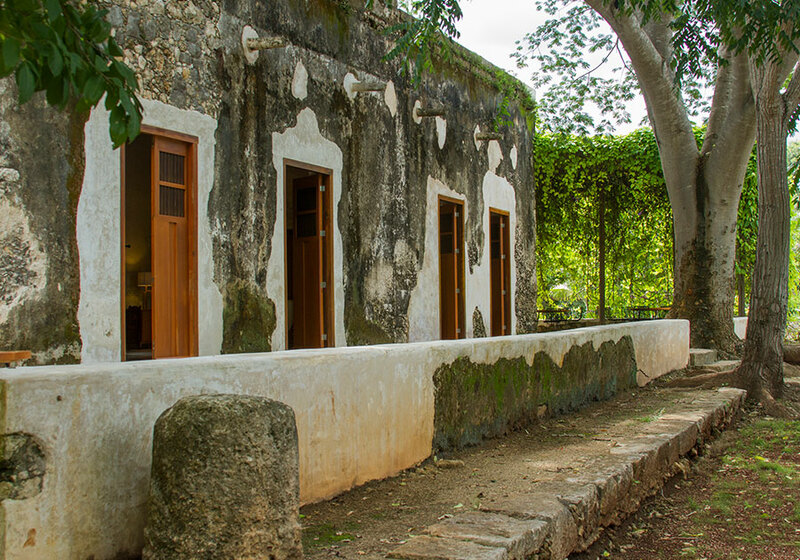 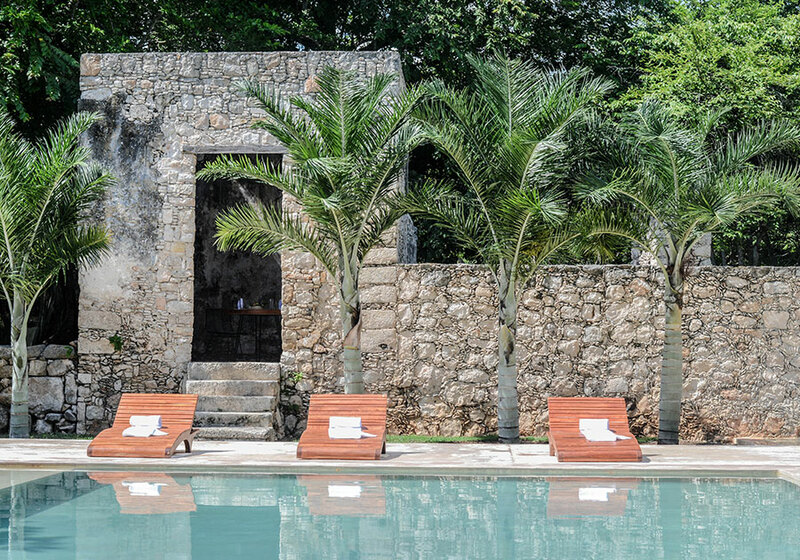 A magical, romantic place, Hacienda Cuzumal offers a combination of natural surroundings, striking landscapes, and history. 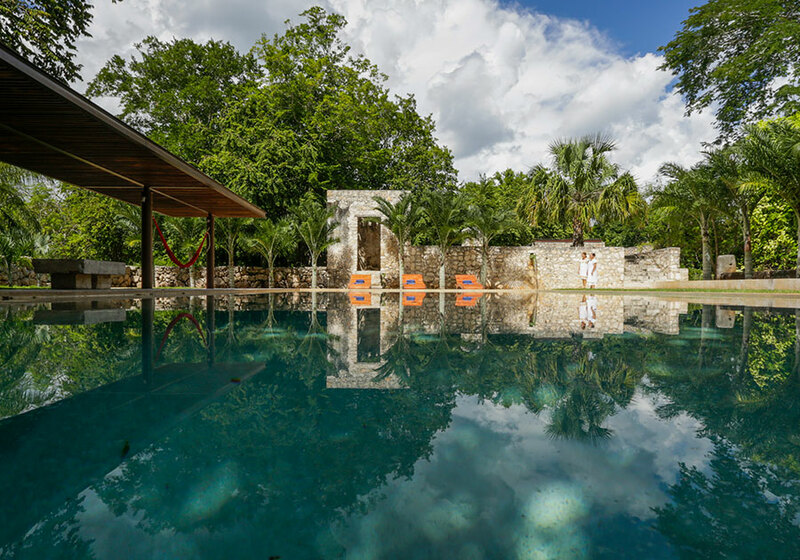 Stroll around the multi-hued lily pond or explore the historic main building of the former hacienda, the private open-air cenote, and the ancient Mayan pyramid: a combination that offers an unrivalled experience of Mexico’s varied history―pre-Hispanic, colonial, and modern―in a single place. 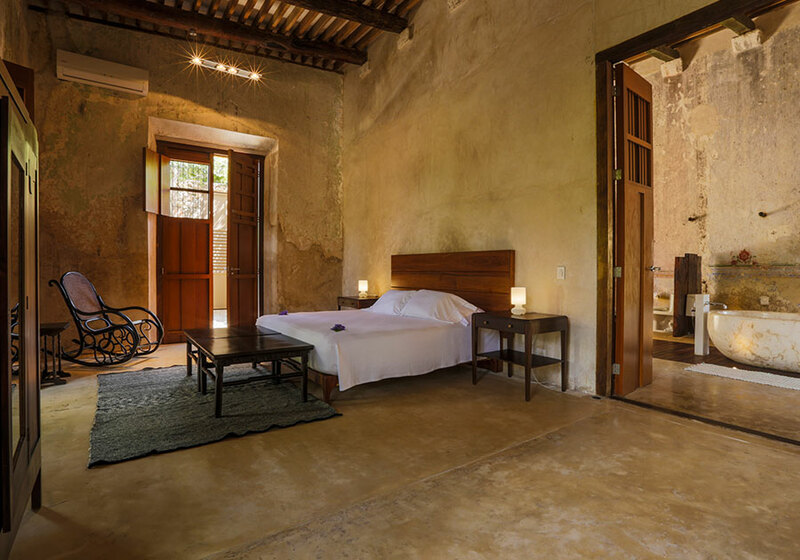 The main building houses the master suite, with its private Jacuzzi, marble bathtub, and spacious terraces overlooking the impressive gardens. 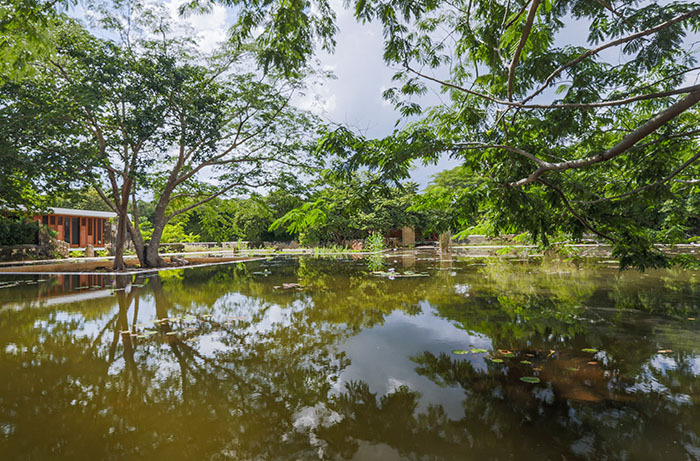 Three ample independent villas surround the lily-pond, raised off the ground to provide a Zen-like experience of balancing between water and wind. 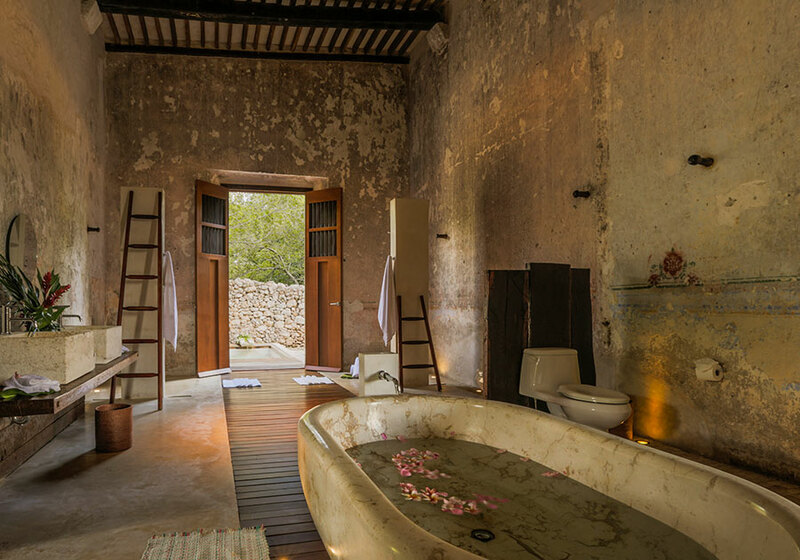 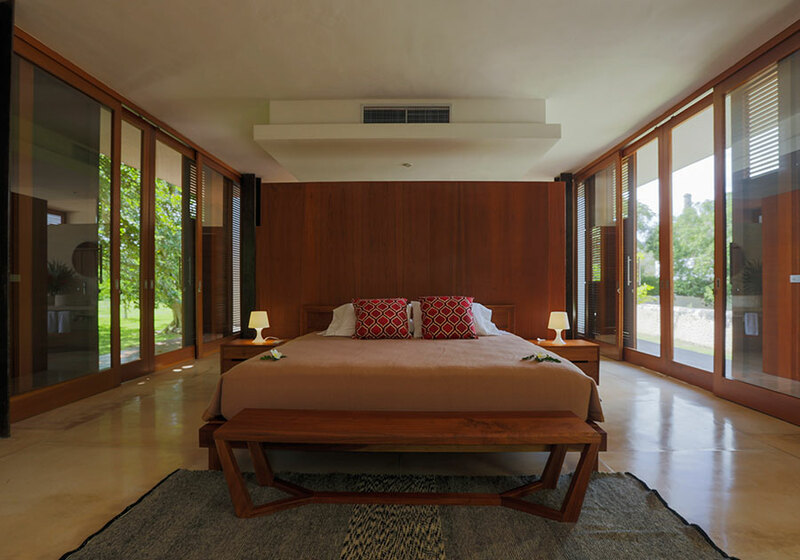 All the bedrooms have marble bathtubs, Jacuzzis, air conditioning, and private terraces. 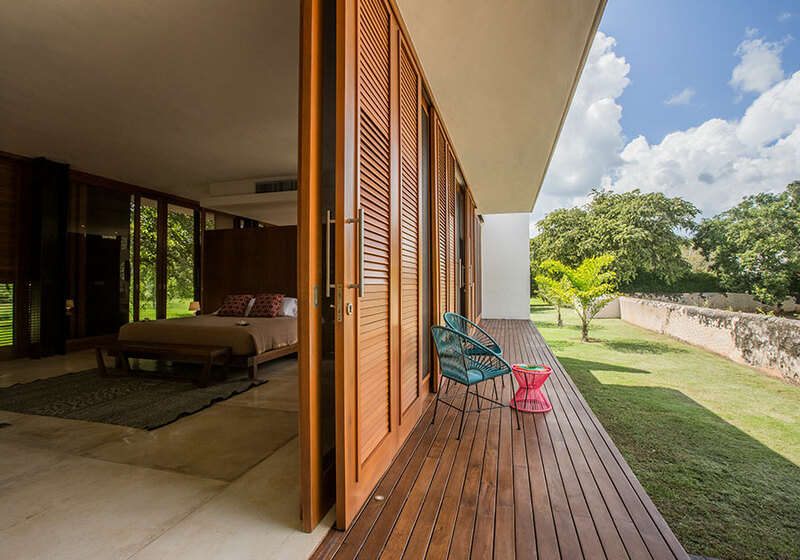 These private areas are complemented by the living and dining rooms, a breakfast nook, a kitchen, and meditation/massage areas.